Available in White or Black. 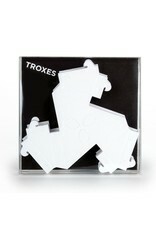 Troxes are triangular, interlocking building bricks. 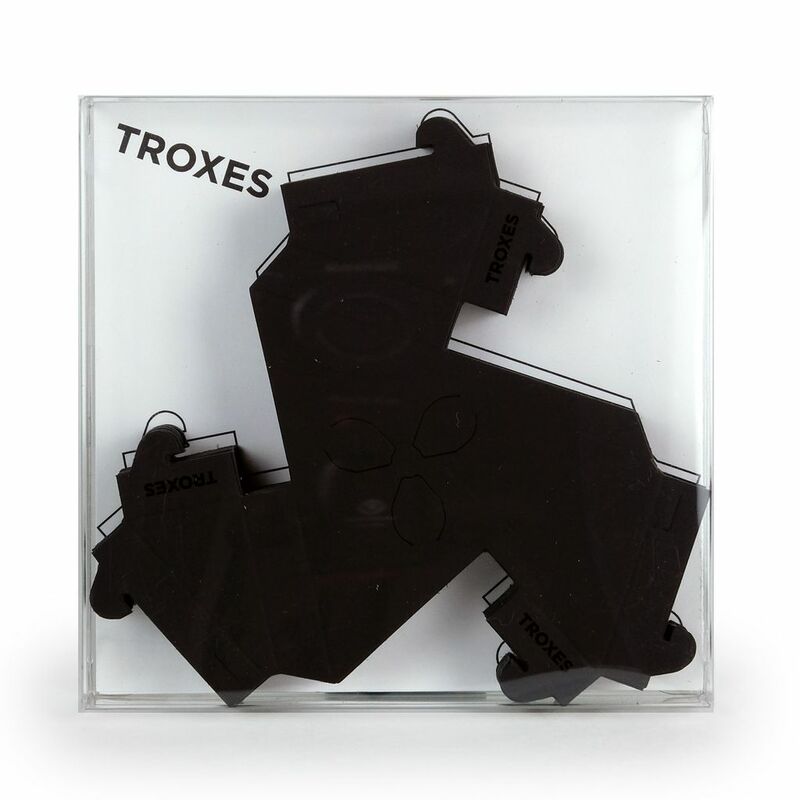 They were designed at the MIT Media Lab as a medium for geometric play beyond the boxes and right angles that are so common in most building toys. 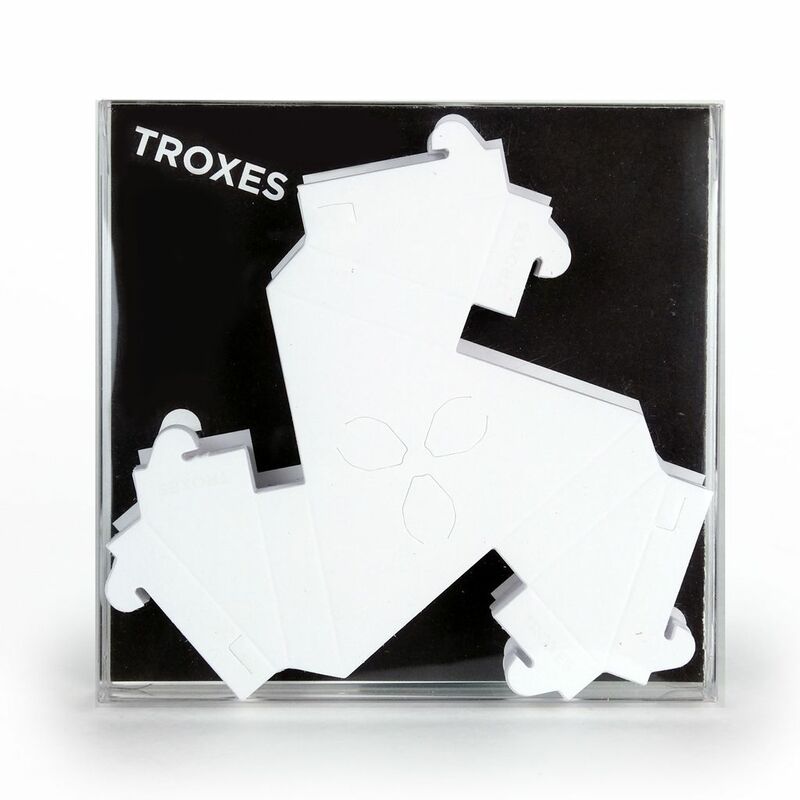 Troxes exercise and deepen spatial thinking, and allow for the construction of objects as beautiful as they are unusual. 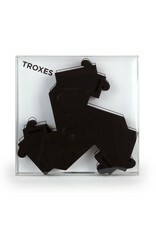 Troxes Starter Kit includes 32 Troxes, just enough to build one of each of the platonic solids. Mix and match colors to add personality and create new forms.